Agile: I have embraced and applied agile management methods to my automation coding and project activities and worked on teams whose work is managed 100% with Agile methods and tools. DevOps: I am an advocate of the application DevOps methods where they are appropriate - most especially making Security, Monitoring, Backup and Operational Ruggedness first class citizens that are designed in from day 1. Scrum Master: for multiple, simultaneous small team projects. Continuous Integration & Continuous Delivery: I understand the goals, requirements and ideals behind these methodologies and I have helped build and maintain CI / CD pipelines based on TeamCity and Octopus and Jenkins (including Blue Ocean on Windows and Linux). Desired State and Idempotent Coding: I understand how to code for desired state and idempotency - this perspective and skill are important for writing custom code for any of the frameworks that function with these concepts (Chef, PowerShell DSC) and are very handy for all code. git: Manage and collaborate on all code using git - including branching, tagging, mergingand understand how to use it in CI / CD and have worked with Stash, Gitlab CE (internal), Github.com Gitlab.com. I use it for open source as well. PowerShell for DevOps: I am accomplished in PowerShell for software deployment and configuration automation. I am confident in creating, testing and releasing frameworks and functions for others to use. ​Chocolatey Nuget: I have used Chocolatey NuGet to create componentized infrastructure artifacts that can be installed via most any type of automated orchestration - whether infrastructure or CI/CD oriented (e.g. PowerShell, Chef, Packer, TeamCity, Ocotopus). I have also used it to create enhanced code deploy NuGet packages that are also consumable independent of the CI / CD tools that created the packages. NuGet: Product prototyping, selection and deployment of NuGet server. Prototyped ProGet and deployed Nexus Repository (Windows & Linux). Pester: for test automation in CI/CD builds. I have built over 100 Pester tests for automated infrastructure QA. Artifact Repositories: I have and done a production implementation of Nexus Repository OSS on Linux and I maintain the Chocolatey package for the Windows version. TeamCity: Use of TeamCity for infrastructure automation and code packaging automation. Linux & Bash: Completely comfortable in supporting and automating Linux environments. Over 15 years supporting LAMP stack and doing administration at the bash console and writing scripts. Jenkins: including Blue Ocean on Windows and Linux. Hashicorp Packer: Use of packer to create complex builds with one packer source file. SQL Server & IIS: Created scripts to install SQL and IIS and configure them using PowerShell and Get-Carbon PowerShell module. ​Note: In the below,"Configuration Automation" means setting these things up using Cloud Formation or another orchestration tool rather than relying on human driven setup using the AWS console. 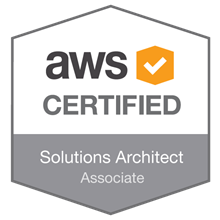 IaaS: Extensive AWS EC2 build and operations experience, including: Windows 2016, 2012 R2 (Core, Full GUI, Container Instances), Amazon Linux, CentOS, Ubuntu - including creating AMI templates. PaaS, Cloud Native, Serverless: configuration automation and troubleshooting of AWS SNS, AWS CloudWatch, AWS Config. Usage of CodeDeploy. Networking: Configuration automation and troubleshooting of AWS VPC including subnets and route tables and security groups. Security: Configuration automation and troubleshooting for IAM roles, permissions policies, trusts and cross-account access. AWS Certificate Manager and SSL termination for CloudFront and Loadbalancing. Containers: Windows and Linux containers on AWS ECS. Deployment Automation: Cloud Formation for configuring all AWS services and IAM permissions. Instance Automation: AWS Cloud Formation templates which call Bash and PowerShell scripts for on-instance automation - including advanced cfn-init and cfn-signal usage. SaaS via PaaS Cobbling: AWS has several solutions which require the technician to cobble together existing services. Configuration and understanding of AWS Systems Manager for global, cross-account software and patch inventory. Internal SCM as a Service SRE: Company internal Source Code Management (SCM) as a Service deployment based on a private, highly available GitLab CE implementation on AWS Linux Docker containers, ECS, EFS (AWS PaaS file system), CloudFront and ProgreSQL RDS with Sumo Logic logging. Automation: Deployment and update automation based on Cloud Formation, Bash and internal tooling. Automation is capable of standing up nightly builds and complete test stacks. Troubleshooting / Escalation: Level 2 for tickets, Level 3 for production outages or service degradation. Monitoring and Capacity Management: Monitoring of KPIs for scaling requirements and log alerting for problems. Highly Available Deployment: GitLab CE has many implementation patterns - this installation followed both the GitLab HA implementation pattern (leverages PaaS whereever possible) and Docker Linux Container implementation pattern. Server: Windows 2016, Nano Server, 2012 R2, 2008 R2 - internals, 64-bit, automation, applications, CentOS. Windows Internals: process profiling, troubleshooting, escalations, 64-bit, application integration and dev best practice. Linux: Centos - management of LAMP stack for business site, hardening, software install, some bash, VMware Virtualization. HyperVisors: VMWare Workstation, Win 8/10 Hyper-V, Virtual Box. Containers: Docker containers on Windows and Linux, AWS ECS. DevOps Tools: Git CLI, GitLab CE High Availability (SRE), Packer, NuGet Packaging & Repositories, TeamCity, Jenkins. Virtualization & Containerization: App-V 4.6, 5.0, Windows and Linux Containers. Advocate and Implement Security Built-in: I am an advocate of Security Built-in and push for production like security controls to be brought into development environments - otherwise security ends up being compromised to a retro-fitted afterthought. Active In Center for Internet Security: I am an active commenter on the CIS AWS Foundations Benchmark. IAM Security and Permissions: Review and approve Cloud Formation templates for production - including detailed review of IAM permissions for adherence to least privilege. Least-Privilege Research: I have the patience and tenacity to work through to technical and people challenges raised by researching and testing for the optimal least-privilege security implementation for a given solution. Strongest on Windows, but also able to implement least-privilege Linux software deployments. CIS AWS Foundations Benchmark Implementation: I have worked on implementing this benchmark with automation code for a new account. My security perspectives are very aligned with the CIS approach. Personal Password Management: I manage my work passwords according to industry standards. Highly Privileged IT Employee Perspective: I understand and consent to the obligations, care and ethics that must be practiced by employees who have high levels of security access that I generally have. Internal Blogger: I have been a leader in initiating and leading by example for company internal blogging (usually on Yammer) to share my team's resources and create a positive social environment. Initiate Lunch and Learn Sessions: I love to share and have delivered internal learning sessions where I work, including initiating lunch learning sessions. Mentoring: I enjoy helping others within and outside of my team. Seeding Leaders in Collaboration: I encourage and nudge others to get involved in positive collaboration by speaking and blogging. External: I effectively collaborate with vendor engineers, contribute to open source and participate in expert communities (e.g. CIS community). Documentation: Code as documentation, markdown in source control, . Escalation and Incidents: Effective at leading collaborative troubleshooting sessions and creating appropriate documentation for collaboration across timezones and teams. Technology Instruction: I do technology instruction by creating PluralSight courses and by doing conference speaking. I feel very confident with PowerShell and welcome all opportunities to tackle new problems and enjoy opportunities to grow in it. Extensive use of PowerShell Console for prototyping - which improves first pass code quality and reduces test time. Lead developer for enterprise software distribution team's shared functions library and template. Library compatible with 17 Windows MUI languages, XP, three versions of Windows client and server, PowerShell 2.0 and 3.0 and 32-bit and 64-bit execution. Library handles all 32-bit / 64-bit software configuration management and script execution issues. Management of script releases with agile methodologies. Migration of over 75 production VBScripts to PowerShell. App-V 4.6 PowerShell Function Library. Development in sync with underlying PowerShell philosophies: functionality discoverable via built-in function help, verb-noun pairs, pipeline compatibility. Coding for error handling and logging. Significantly improved in PowerShell code quality - including UAT rejections and production problems - via detailed, structured testing and regression testing of releases. Exposing attributes of system and user via many prepopulated variables. Mindset to continuously template-ize functionality that will likely be needed repeatedly by other team members and in the greater organization. Handle various AWS escalations including IAM permissions diagnosis. In troubleshooting Windows application installation, packaging and operational problems I feel capable to tackle most integration problems. I also feel confident to be able to identify and advise developers of violations of application and platform compliance and installer best practice. I have also successfully pointed application developers to the API calls to look for in their code for problems that eventually require recompilation of their code. Judge, Jury & Executioner bug hunting: [a] intercept trending tickets before support can do too much on them, [b] contact customer to help, [c] determine if problem can be handled with code changes, [d] if possible, code a fix while customer waits, [e] test fix on failing system, [f] apply fix to production with high certainty that the issue is fixed. Troubleshooting applications using instrumentation including Process Monitor (Procmon.exe), Process Explorer (Procexp.exe) and Rohitab API Monitor and Nektra Spy Studio, Fusion logs. Use of Debugging Rules from book "Debugging" by David Agans. Detailed log analysis and correlation of all log types. Creation of portable toolkit for system troubleshooting without having to perform tool installations. Application compatibility toolkit shimming for OS compatibility. VMware Workstation configuration for testing. - [2017-Oct] Open Source PowerShell - How Can It Possibly Matter? - [2015-May] DevOps for Established Infrastructure: Help or Hype? Online Course "PowerShell for the Enterprise Desktop: Quick Start Tips, Tricks & Ready To Run Code"
InstallShield AdminStudio: Over 10 years packaging. Wise Package Studio: Over 10 years packaging. Orca: Over 10 years packaging. Application Compatibility Toolkit (ACT/AppCompat): 5 Years shimming. End-to-end process management from requirements gathering meeting, through UAT and production deployment. Facilitation of enterprise Windows Installer strategy workshops. MSI packaging methodology development for large pharmaceutical. Assessment of Windows Installer packaging tools for global pharma. Created checklist for remediating MSI packaging practices for Windows 7. Fixed Microsoft App-V deployment packages to incorporate proper rollback. Many advanced vbscript custom actions. Portfolio: CSI_INI2MST - create a transform from an ini file. Extensive Windows Installer log analysis. Creation of MSI log highlighter and analyzer. Portfolio: CSI_GetMSIErrors - vbscript to extract all errors from an MSI verbose log. Portfolio: CSI_CachedPackageAsSource - symbolic links to reduce duplication cached packages. Portfolio: CSI_ExtractMSIGUIDAndIcons - extract icon and Product Code guid for use in SCCM App Catalog without having to install the package. Portfolio: Fixes for Microsoft's App-V 4.6 deployment wrapper MSI. Having written books and courses and solved many problems with Application internals, I feel very confident in tackling integration problems. Detailed understanding of 32 and 64-bit issues on Windows (an unexpected source of many challenges for admins). Windows registry and file system. Configuration of UAC elevation via manifesting, shimming, shortcuts, environment variables, reg hacks. Application compatibility toolkit - including passing exam, configuring, detecting shimming and debug logging shims. Compentent with advanced monitoring tools Process Monitor (procmon.exe), Process Explorer (procexp.exe) and Rohitab API Montior to test, debug and profile applications and installers. Win32 / XP Application internals including: security tokens, DLL Loading, logon sessions, tracking COM operations, processes, .LOCAL Isolation. Window 7 technologies that affect application installation and operation including User Account Control (UAC), Windows Resource Protection (WRP), User Interface Privilege Isolation (UIPI), IE Protected Mode. ​Comprehensive Technical Guide to Windows 7 Elevation. Set of over 30 Procmon Filters For Analyzing Installers. I feel confident to create shims with App Compat for integration problems that it can solve. When Microsoft solves problems using this toolkit, it many times involves multiple, internal escalation engineers - I won't be able to do what they can. Completed MS AppCompat Partner Training and passed MS ACF Exam. Standard User Analyzer (SUA) and LuaBugLight. AppCompat Shimming for non-admin operation. Legacy mitigations for non-admin operation of applications. Displaying and suppressing UAC prompt. Focused on limiting dependence on too many tools or workflows. Physical courseware kit build including printed manuals, DVDs and headsets. Copy protected paper for printed workbooks. Familiar with DRM technologies and social issues. Created certification exam that was distributed through prometric testing centers. Devised methods and technical solutions for fluid electronic whiteboarding to increase student engagement during live online delivery. Incorporation of Cathy Moore’s Action Mapping methods. Application of principles and methodologies of Ruth Covin Clark. Redesign of technical course exercises to reduce cognitive load. Application of visual collaboration principles from Back of the Napkin. Extensive powerpoint and word experience for courseware creation. Photoshop, Lightroom, GIMP, Inkscape for graphic design. Very experienced with RegOnline SaaS registration system for event setup and bundle pricing and customer invoice / payment self-service. Knowledgeable of event registration system requirements. VMWare Virtual Machine builds for student exercises. DVD build methods and technology to allow multiple courses to be flexibly consolidate on the same DVD set. Detailed visuals - including progressive visuals in PowerPoint. Designed lab exercise layout and styles to support learner compehension. Instructional Design including content selection, aggregation, sequencing, trenching and cognitive load management. Extensive use of Regonline.com SaaS event registration provider. Skytap Dev / Test VM Cloud.